I was briefly in Tallinn, Estonia’s capital city, in early 2003. My intention was to make connections for my consulting business, which business I have recently put to rest. Tallinn is a short distance from Stockholm (237 miles, or 381.0 km), directly east across Östersjön (The Eastern Sea); that is, the Baltic Sea. The population of the country is around 1.3 million people (in 2002). My impressions of Tallinn over the few days I was there were from my tour of Tallinn’s “old town,” from walking through outdoor markets and other business areas outside of the old town, and from several business meetings and luncheons. I felt the youthful vibrancy emerging from a period of dismal oppression, remnants of which were more evident as one wandered away from the center of the city. 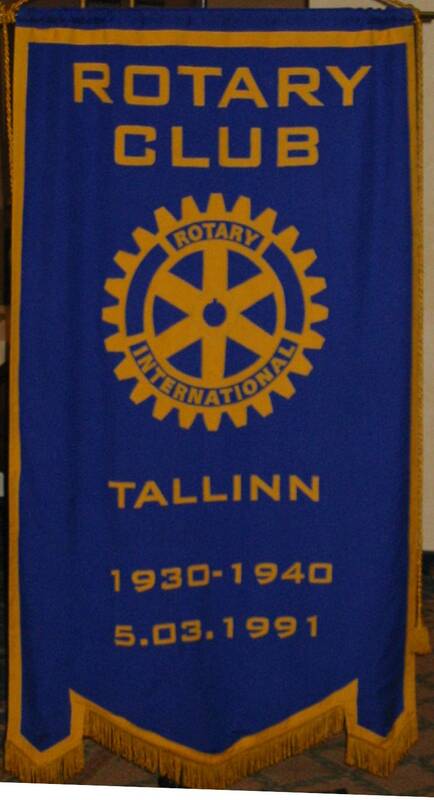 One soulful experience was to attend a regular weekly meeting of the Rotary Club of Tallinn. In the foyer of the meeting area was a large banner showing how the club ceased to exist during the Soviet Union’s unlawful occupation and co-option in 1940 of the sovereign countries of Estonia, Latvia and Lithuania, and how the club was re-established after the collapse of the Soviet empire. I remember, vividly, my father’s anger against the USSR for invading and taking the three Baltic States as the Second World War began in Europe. The USA never recognized the USSR’s claim on these small and defenseless countries into which it made “Soviet Republics.” These memories added to the poignancy of my visit to the Rotary Club and in seeing its banner, making the whole trip worthwhile despite my fruitless efforts to generate business in Tallinn. The Republic of Estonia is rising, brilliantly, from the agonies and deprivations of its past. Estonia’s government is an enabling institution for the national economy and for the entrepreneurial spirit. For example, the national income tax rate is a flat 20%. Estonia’s estimated real GDP growth rate in 2006 was 9.8%. I have offered here a glimpse of a small country, freed in 1991 from the Soviet yoke, having become in the ensuing 16 years a beacon of democracy and freedom, and an example to the world. This entry was posted in Estonia, History, Tallinn and tagged Baltic States, Estonian Evangelical Lutheran Church, President of Estonia, Rotary Club of Tallinn, Soviet Union, Tallinn, Toomas Hendrik Ilves. Bookmark the permalink.